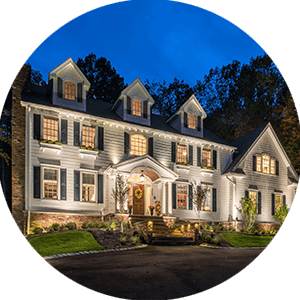 Bedminster, with 8,431 residents and 27 square miles located in Somerset County, is characterized by many desirable qualities. 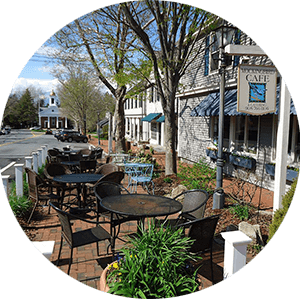 From Pottersville to Pluckemin, from Union Grove to Burnt Mills, and from Lamington to Bedminster Village, the town presents a pleasant mix of history, natural beauty, access to amenities and excellent schools. Bedminster is also fortunate to have a well-managed municipal government and low taxes. Check out Bedminster's market statistics HERE! Bordering Far Hills, Bedminster Village’s main street, Route 202, retains its distinctive 19th-century architecture, now a mix of professional offices, homes and a wide variety of local businesses including restaurants, jewelery store, clothing boutiques, spas, salons, interior design and decorating shops, a florist/greenhouse, old fashioned pharmacy, tack shop, bank, Post Office and more. Pluckemin is home to restaurants and shops. Although US Route 202/206 is the main road and The Hills development adjoins it, Pluckemin still manages to retain its old-time charm. The Hills Development has a large shopping center with banks, a supermarket, drug store, cleaner’s, video store and other retail businesses plus a Chinese restaurant, coffee shop, pizzeria and more. There is also a shopping plaza at the corner of Route 202/206 and Washington Valley Road with its own supermarket, bakery, pharmacy and Italian bistro. The Courtyards in Pluckemin lies between these two centers, offering its own mix of retail and service establishments. The upscale Bridgewater Commons Mall which includes Bloomingdale's, Macy's, Lord & Taylor and 160 specialty stores including a movie theater is just a few miles away. Bedminster Township Recreation Department offers a variety of programs, activities & community events seasonally for Bedminster residents of all ages including: cultural, social, educational, sports and fitness programming. 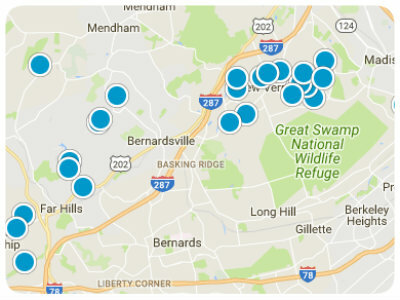 In addition Bedminster Township residents participate in “Somerset Hills Area” youth sports leagues. “Somerset Hills” is a term for a geographic area comprised of several smaller communities in their immediate area (i.e., Bedminster, Bernardsville, Bernards Township, Far Hills, Peapack-Gladstone). Bedminster Township has four parks and a small recreation area totaling approximately 34 acres for active recreation. Some features include baseball/softball & soccer/lacrosse fields, dog parks, basketball & volleyball courts, bocce, plyagrounds, and picnic facilities. In addition, there is a scenic paved Hike & Bike trail which currently connects the Village Area of Bedminster to The Hills housing development, with plans to extend the trail in the future. Bedminster is most fortunate in having so many citizens who eagerly volunteer to serve their community. Working together, the community-minded citizens help to strengthen and protect the small town atmosphere. With a diversity of landscapes, parklands, residences and services, Bedminster offers an agreeable quality of life most communities cannot claim. 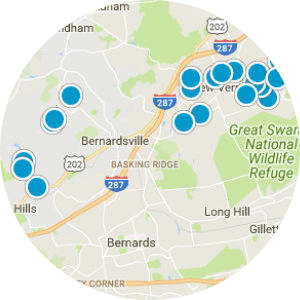 Somerset Valley Urgent Care located in Bedminster along with Somerset Medical Center and Morristown Medical Center are just a short distance away. Bedminster is traversed by Interstate 287, which runs through the eastern section, while Interstate 78 runs mostly through the center of the township. U.S. Route 202 and U.S. Route 206 also pass through running parallel to I-287 from the Bridgewater area to Pluckemin. The closest New Jersey Transit service offered is at the Far Hills station on the Morris & Essex Lines.